Alastair from HBP Group will be putting a spotlight on why you and your employees are the most important part of your business, focusing on how you can best manage the health and wellbeing of your workforce for maximum results. Bryn from Tradies Accountant will be sharing his wealth of insights on cash flow and business profit improvement. Tim from USG Boral will address the issue of silicosis in airborne dust from plastering compounds and what USG Boral is doing in response to this. A light breakfast and refreshments are included. CLICK HERE to book now! 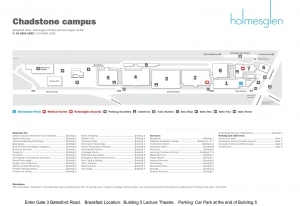 This event is being held at Holmesglen Chadstone Campus in the Building 5 Lecture Theatre. Enter Gate 3 via Batesford Road. Parking: Car Park at the end of Building 5. The On Site Expo will be an opportunity for shopfitter, supplier, architectural andretail designer members to come together, network and share information. This will a FREE event to attend. Don’t miss your opportunity to exhibit! Attendees will be your ideal target market, this is one expo you definitely want to have a presence at! Finger food will be provided and your first drink will be complimentary. Includes expo table, space for your banner behind your table. Your investment can be reduced to only $495+gst if you bring along a minimum of 3 relevant attendee guests with you. Join us for lunch at one of Sydney’s stunning waterfront dining venues, Aqua Luna. We will be joined by guest speakers Laurie Daley and Brad Parker. This is a great opportunity to network with fellow ASOFIA members and industry colleagues. Laurie Daley AM is an Australian professional rugby league football coach and former player. He represented Australia on 26 occasions and has since been named as one of the nation’s finest of the 20th century. Brad Parker is the CEO (NSW) of MATES in Construction, a charity helping to reduce the level of suicide among construction workers. It is an industry-led approach that helps workers on the ground and in their workplaces, to seek help. Save the date and stay tuned for event information! Similar to our the Sydney User Meeting, this get-together will offer a series of workshops, full catering (morning teas, lunches and afternoon teas), a Welcome Dinner and Gala event, invaluable networking opportunities and a whole lot of fun! You’ll be able to polish your PYTHA skills, mingle with the masters of 3D CAD and enjoy some Bali R&R, for a crazy conference pass price of only $300AUD + GST (not including flights and accommodation). Win your way to the Asia Pacific User Meeting! Purchase PYTHA 3D CAD from Pytha Partners between Wednesday, 20 February 2019 and Friday, 29 March 2019 and you’ll automatically go in the draw to win your way to the User Meeting in Bali! One lucky Australian or New Zealand Pytha Partners customer will win a return airfare from Sydney to Bali, three nights accommodation and one full conference pass. Australian and New Zealand software purchases must be paid in full prior to the competition closing date AEST 11:59PM 29 March 2019. By participating you give PYTHA Lab GmbH and Pytha Partners Australia permission to publish images for marketing purposes via web, social media and/or printed material. Sydney Build has firmly established its reputation as one of the leading construction shows in all of Australia. Sydney Build is free to attend and features 15,000+ registered attendees, 150+ speakers, 250+ exhibitors and extensive networking. Since its launch 3 years ago, Sydney Build has quickly built a loyal following, drawing in attendees due to its focus on Sydney and its surrounding region; its fresh content; exclusive networking events; and entertainment. Last year’s show was met with huge success, with 157 exhibitors; 11,839 pre-registered visitors; 56 supporting partners; and 92 speakers. After reaching full capacity last year, Sydney Build will be taking up both the Royal Hall of Industries and its neighbouring venue – Hordern Pavillion – for its next edition. At Sydney Build, win contracts, promote products, learn from leading thought leaders from Sydney and the wider region, enhance your brand awareness, forge new business opportunities, meet pre-qualified buyers and much more. The NSW Regional Safety Conference & Expo will be held at Wests City NEX, 309 King St & Union St, Newcastle West and provides an opportunity for regionally based businesses to access a quality, world-class event with a range of educational and interesting information. The high-quality speakers will deliver a wide range of presentations, including keynote speakers, panel discussions, targeted sessions and masterclasses. A range of global, national and local speakers will be talking about general workplace safety, mental health, hygiene, wellbeing, resilience, technology and leadership.